A two-year fellowship for PhD students at North American universities pursuing research aligned to the research topics carried out by Microsoft Research. Applicants must be in their third year of PhD studies and nominated by the department chair in their field of study. The Microsoft Research PhD Fellowship has supported 132 fellows since the program was established in 2008, many of whom have gone on to work within the Microsoft Research organization. Others have gone on to perform pioneering research elsewhere within the technology industry or accept faculty appointments at leading universities. We are pleased to announce an additional 10 students have been awarded the fellowship for 2019. Please check back in mid-summer regarding updated details for the 2020 Microsoft Research PhD Fellowship. Tuition and fees are covered for two academic years (2019–20 and 2020–21). A $42,000 USD stipend is provided to help with living expenses and conference travel while in school for two academic years (2019–20 and 2020–21). An invitation to interview for one salaried internship in 2019 with leading Microsoft researchers working on cutting-edge projects related to the recipient’s field of study. An invitation to the PhD Summit: a two-day workshop in the fall at our Redmond lab where fellows will meet with Microsoft researchers and other top students to share their research. Note: Fellowships are awarded to recipients for two consecutive academic years only and are not available for extension. 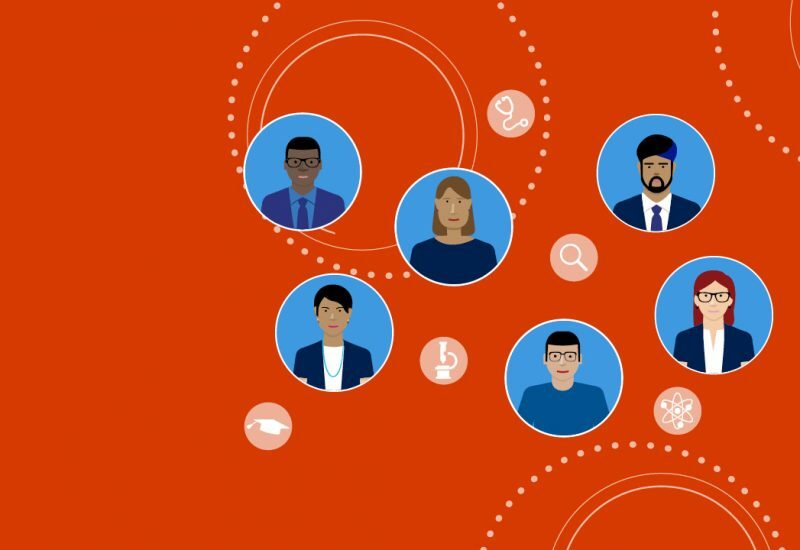 Applicants for the Microsoft Research PhD Fellowship must be nominated by their universities, and their nominations must be submitted by the office of the chair of the department. Direct applications from students are not accepted. Students must attend a North American (United States, Canada, Mexico) university. The proposed research must be closely related to the research topics carried out by Microsoft Research as noted in the Research areas tab above. We are particularly interested in proposals related to Systems & Networking and AI (including Machine Learning, Computer Vision, and Robotics) as well as interdisciplinary extensions to them. Students must be in their third year of a PhD program in the fall semester or quarter of 2018. The nominating university will be asked to confirm the student’s PhD program start date (month/year). A maximum of three applicants per department will be accepted. Microsoft will have discretion as to how any remaining funds will be used if the student is no longer qualified to receive funding (e.g. if the student unenrolls from the program, graduates, or transfers to a different university). The recipient must remain an active, full-time student in a PhD program during the two consecutive academic years of the award or forfeit the award. A recipient of a Microsoft Research PhD Fellowship may not receive another fellowship from another company or institution for the same academic period. Fellows accepting multiple fellowships may become ineligible to receive continued funding from Microsoft. Microsoft actively seeks to foster greater levels of diversity in our workforce and in our pipeline of future researchers. We are always looking for the best and brightest talent and celebrate individuality. We invite candidates to come as they are and do what they love. Application submissions will be accepted via the online application tool through 11:59 PM Pacific Time on Tuesday, October 9, 2018. Applications will be accepted in any of the following formats: Word document, text-only file, or PDF. Email or hard-copy applications will not be considered. All application materials must be submitted by the person who is designated as the application contact by the departmental chair’s office and must not be the applicant. Applications submitted to Microsoft will not be returned. Microsoft cannot assume responsibility for the confidentiality of information in submitted applications. Therefore, applications should not contain information that is confidential, restricted, or sensitive. Microsoft reserves the right to make public the information on those applications that receive awards, except those portions containing budgetary or personally identifiable information. Incomplete applications cannot be considered, and notification of incompleteness will not be made. Due to the volume of submissions, Microsoft Research cannot provide individual feedback on applications that do not receive fellowship awards. Below are the answers to frequently asked questions about the 2019 Microsoft Research PhD Fellowship Program. Yes, if you are a full-time international student attending a North American school. What if I’m a student attending a university outside North America? The Microsoft Research PhD Fellowship includes only North American schools. If you are a student attending a school outside North America, you are not eligible for this fellowship. Please check out our PhD Scholarship Programme in EMEA and our Fellowships at Microsoft Research Asia. What if I am not starting my third year in academic year 2018–2019? Students must be in their third year in a PhD program in the fall semester or quarter of 2018 to apply for this program. Do I have to be nominated by my university or can I apply on my own? To be considered for the program, you must be nominated by your department within your university. The application contact for your department chair must submit the application on your behalf. Who will review the nominations? Applications will be reviewed by researchers from Microsoft Research whose expertise covers a wide range of disciplines. After the first review, a selection of applicants will be invited for in-person interviews. Award recipients are chosen from the finalists. When will I know the outcome of the review process? Selected fellowship applicants will receive notification no later than January 31, 2019. Due to the volume of submissions, Microsoft Research cannot provide individual feedback on applications that do not receive fellowship awards. If selected, when will my fellowship begin? Persons awarded a fellowship in January will receive their financial awards by September of that year. Microsoft sends payment directly to the university, who will disperse funds according to their guidelines. Are there any tax implications for me if I receive this fellowship? The tax implications for your tuition and fees and stipend are based on the policy at your university. Will intellectual property be an issue if I am awarded a fellowship? The Microsoft Research PhD Fellowship is not subject to any intellectual property (IP) restrictions unless and until the fellowship recipient also accepts an internship. If you accept an internship, you will be subject to the same restrictions as any other Microsoft intern. Can I simultaneously receive fellowships from other companies? If you accept a Microsoft Research PhD Fellowship, you may not receive another fellowship from another company or institution during the same academic period. Fellows accepting multiple fellowships will become ineligible to receive continued funding from Microsoft. Microsoft will at its sole discretion consider a joint fellowship with a government or non-profit organization. Please contact msfellow@microsoft.com for consideration. I did my undergrad in a different field, and the research was very different from what I am doing now. Who would you recommend write my recommendation letter? Someone I worked with for several years in my undergrad where I did research that was very different to the research I am doing now or someone I've worked with for less time but is in my field of study? It’s good to give us both perspectives. Given that you have three letters, it would be good to include a letter from one person who can speak about your current research and one person who has known you longer, even if it may not be in your current research area–the longer-term perspective is definitely important and valuable. The value of a letter is evaluating how you work, how you collaborate with people, and what your process is as a researcher–that transcends what your particular topic is. Keep in mind that one letter doesn’t have to address all things; across all three letters, we want to get a full picture of who you are over a longer term, but also insight into your recent work. Are you more interested in learning about technical and research specific aspects of our work, or are other things, such as outreach/other university activities of interest as well? The purpose of a letter of reference is to provide us with the bigger picture of what you are doing, how you work as a researcher, how you learn, how you approach projects, and how you collaborate with others. The purpose of the letter is to provide us with insight from people who’ve been working with you and observing you for some amount of time. It was suggested that recommendation letters come from established researchers. Is this limited to faculty members or would the inclusion of collaborators be acceptable as well? At least one recommendation needs to come from an advisor, but letters of reference from collaborators are allowed. We are looking for people who can speak to you, your work as a researcher, and your character. For the recommendation letters, is it a system where you list the people and your system will ask those people? Or do they have to send their recommendation letters to whomever is filling out the application? Whomever is designated by the Department Chair’s office to submit the application on your behalf will be the person the recommendation letters are sent to. That person will have to upload the letter into the tool when they submit your application by October 9. Are there specific pieces of information I am required to include in my research statement (i.e. research aims, research timelines, deliverables) or are you looking for more of a narrative, descriptive format of a student's plan for their doctoral research? Your research statement should be more of a narrative format–timelines and deliverables are not necessary. We want to see what you’re interested in, where your work is going, and how you would use this fellowship to further your research and contribute to the academic community. What sort of balance is expected between what we have done, what we are doing, and what we are planning on doing? Is it a pitch? Is it a plan? Is it a narration of things we've done? What's the expectation of balance there? When reviewing an application, we’re looking for more of a future plan. Your research papers tell us what you have done, use the research statement to tell us where you are going. If we have just submitted a paper that is going to guide a lot of direction going forward, would you recommend submitting that as preliminary data in the proposal or attaching an unpublished paper to the application? If it is relevant, and all co-authors approve of you submitting the unpublished work, we recommend including this in your submission. Again, all papers should be approved by all-co-authors, for both published and unpublished works. Should the one-page research statement be a short synopsis of the five-page research statement, or should they contain distinctively different content? The one-page research statement and the five-page research statement should not contain different content; one should be a shorter version of the other. The purpose of the shorter version is to help us triage where applicants go to get reviewed. Are there any formatting issues I should be aware of while writing my research statement? Your research statement should be no more than 5 pages including references with font no smaller than 10-point. You specify very broad focus areas of research. Are there any applications or projects that you're more interested in than others or is it up to us to choose? Is it mostly software solutions or is there any hardware interest there? There are plenty of both hardware and software projects currently in MSR. The reason the areas of research are broad is that MSR is very broad, and there are a number of people reviewing the fellowship applications across a wide range of areas. Look at the work people in MSR are doing which will give you some idea of the focus areas within the broad areas to guide your focus area choice. In the end, propose the work you’re interested in doing. How do areas of interest factor in to fellowship proposal evaluations? Are there areas of interest MSR is more focused on this year? A lot of it depends on the individuals involved in reviewing the application, and it’s hard to say what is going to be of more interest. The trends of the industry are probably going to be reflected in what’s interesting in general. Guiding question: Imagine you succeed. Tell me how does someone’s life change as a result? How do I think about what my primary and secondary research areas are? And where is the appropriate place to describe how the primary and secondary areas relate to my work (whether it's methodologically or theoretically)? Your choices of Primary and Secondary areas help us choose who reviews your application. Pick areas that align with conferences/journals you would publish in. One-pager is the appropriate place to describe how research areas relate to research. How do I choose which area to pick for my Research Area if my research is very interdisciplinary? Microsoft Research is interdisciplinary, so it’s something we understand. What you choose as a Research Area is a “soft” preference and will simply help us better route your application. Utilize the primary and secondary Research Area option to help capture and communicate your Research Area the best you can. Imagine you succeed. Tell me how does someone’s life change as a result? Do you have a home conference? Are there one or two conferences you go to in a more specific area? Is there a set of faculty/professors you know in a specific area? Who do you want to be reading your application? Who would you want to network with? What area of research are they in? Who would be most excited about my topic? What area of research are they in? Does Machine Learning for Systems research / Machine Learning for Designing things fall under Artificial Intelligence Research Area in this hierarchy? In this instance, we suggest choosing “Artificial Intelligence” and “Systems & networking”; one as a primary and the other as a secondary area. Does whether or not a student's research is already being funded impact their eligibility for nomination and/or winning the award? Not from our perspective. However, should the student be chosen for both an MSR fellowship and another industry fellowship, they will be asked to choose. Who is meant to submit the application? Does it have to be the Chair of the department? Or my advisor? Or someone who was selected by the Chair, but is not my advisor? The Department Chair’s office can designate anyone other than the student to submit the application. The submission of the application simply needs to be a coordinated effort with the Department Chair’s office. This is to ensure there are no more than three submissions from each department per fellowship and the Department Chair’s Office is aware of who is submitting the three applications. Does the Department Chair have to submit a letter through the online tool as well? No, you don’t have to have a letter from the department chair. Do you know how many applications there were last year? Constantin investigates color centers in diamond and silicon carbide to utilize them as quantum bits and single photon sources for quantum information processing, which will enable exponential speed-up in a wide range of computing applications. To integrate color centers on a chip, he’s breaking new grounds in fabrication and design techniques to develop efficiently integrated photonics. Artificial intelligence and machine learning-based algorithms design the circuits of the future by engaging the full parameter space. To realize these designs using diamond and silicon carbide (materials that are new to photonics), Constantin developed fabrication methods in the Stanford Nanofabrication Facilities. He characterizes these devices at cryogenic temperatures in quantum optics labs and utilize them as spin-photon interfaces, or to generate nonclassical light. His current efforts are on developing large-scale quantum optical experiments involving several color centers entangled in a quantum circuit. Ultimately, he hopes to make progress toward the applications of color centers in universal quantum computers, quantum repeaters, and quantum transducers. 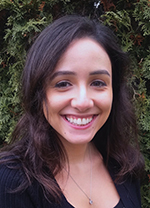 Danielle Gonzalez is currently a PhD student in the Center for Cybersecurity and Software Engineering Department at Rochester Institute of Technology (RIT). She also received a B.S. in Software Engineering from RIT in 2016. The goal of her research is to make security testing during development easier via unit testing. She uses static code analysis, large-scale data mining, natural language processing, and machine learning techniques to learn which critical paths and conditions in security tactic implementations can and should be unit-tested and automatically generate artifacts such as test case plans and recommendations that will make the testing process easier for developers while preserving their control over what is tested. Daehyeok Kim is a third year PhD student in the Computer Science Department at Carnegie Mellon University, where he is advised by Professor Srinivasan Seshan and Professor Vyas Sekar. His research interests lie in the intersection of systems and networking with a current focus on making data centers faster and more efficient by designing novel network primitives with advanced networking hardware such as programmable switches and RDMA NICs. 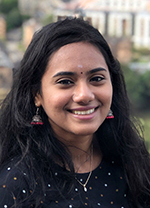 Jayashree’s research aims at building the next generation of file systems: crash-consistent, energy-efficient, and IO-efficient. Crash consistency is the ability of a file system to ensure data and metadata consistency when a system crash occurs. It is important to build crash-consistent file systems, as applications rely on the guarantees provided by the underlying file system. In addition to crash-consistency, it is important for file systems to be energy-efficient because energy consumption is a key issue in both large-scale data centers as well as small hand-held devices. Furthermore, with the advent of storage technologies with limited write cycles, file systems have to be mindful of their IO footprint. Her work identifies the significance of each of these aspects, building tools and infrastructure to evaluate them, and understanding their impact on file system performance as a whole. 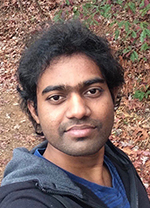 Ramakanth Pasunuru is a PhD student in Computer Science at University of North Carolina Chapel Hill, advised by Professor Mohit Bansal in the UNC-NLP group. 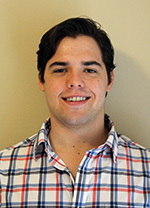 His research focuses on developing knowledgeable language generation models that incorporate generalizable semantic skills via dynamic multi-task learning and multi-reward reinforcement learning methods, as well as multimodal conversational models that condition on video-based context and continually adapt via feedback and interaction. 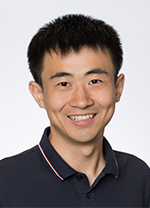 He is the recipient of an ACL 2017 Outstanding Paper Award and a COLING 2018 Area Chair Favorites Paper Award. As robot platforms become increasingly common in people’s homes and workplaces over the coming years, a central challenge will be ensuring people have effective ways to specify to a robot what they want it to do, and endowing robots with effective ways to communicate back to people such that the users can confidently interpret the robot’s intent and understanding given the command at hand. Daniel’s research has centered around this robot “specification-interpretability” problem, such as presenting remote telemanipulation paradigms that affords even novice users the ability to intuitively control a robot with minimal training, creating an automatic dynamic camera method that continuously optimizes a viewpoint for a remote user, and formulating a robot bimanual shared-control method inspired by how people naturally perform bimanual manipulations. 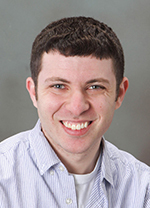 Daniel is a PhD student at the University of Wisconsin-Madison, advised by Dr. Michael Gleicher and Dr. Bilge Mutlu. 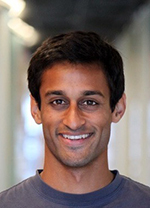 Raghuvansh R. Saxena is a graduate student with the Department of Computer Science at Princeton University. His research involves developing and studying models of communication that capture the intricacies of modern communication systems, such as wireless and radio networks. 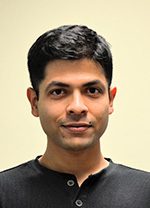 Raghuvansh is also interested in other areas of theoretical computer science, such as algorithmic game theory and complexity theory. 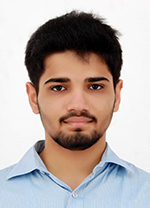 He received his Bachelor of Technology degree in Computer Science and Engineering from IIT Delhi in 2016, with Institute Rank 1. 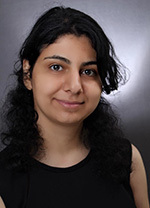 The goal of Joana’s research is to develop systems that enable data scientists and practitioners to analyze their data more efficiently and with less programming and/or cognitive effort. Despite the growing popularity and availability of graph data, existing graph analytics tools are either too slow, or too cumbersome to use; this forces upon biologists, chemists, and otherwise network scientists the choice between high-performance or usability. Existing graph databases provide accessible declarative language interfaces, yet their performance is nowhere near that of state-of-the-art graph processing libraries. Similarly, parallel graph processing libraries offer outstanding performance, but require expertise in parallel programming. 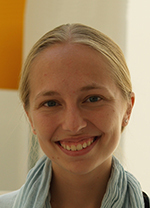 So far in her PhD, Joana has identified several key challenges in this space, as well as contributed query optimization techniques that yield significant performance speedups for graph databases. Ultimately, she envisions a world where network data scientists can conduct their research without getting bogged down by cumbersome tools. 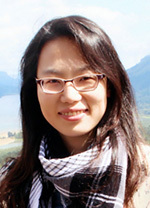 Zuxuan is a third-year PhD student in the Department of Computer Science at the University of Maryland, advised by Professor Larry S. Davis. 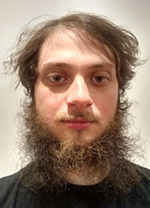 His research interests are computer vision and machine learning. 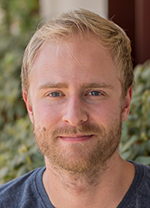 In particular, his research focuses on developing efficient frameworks through conditional computation for automated visual understanding and learning robust feature representations with limited supervision. He is also interested in large-scale video recognition, and he has developed a few systems that achieved top-notch performance in several international benchmark competitions such as the YouTube-8M Video Classification Challenge. People have always used tools to extend the reach of their bodies and minds. Just as the invention of the lever enabled people to build monuments, the invention of pen and paper—and then the text editor—enabled people to synthesize ideas at a massively new scale. Today, computing power is cheap, networking ubiquitous, and data abundant. Yet today’s personal tools remain much the same as those of a few decades ago. Katherine’s research reimagines personal tools as modern mediums that natively incorporate computational intelligence—that is, techniques for modeling, search, and synthesis—to augment the human ability to think and create. 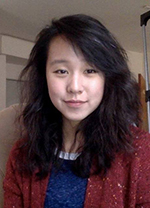 Currently, Katherine leads the team that builds Penrose, a platform that enables people to create beautiful diagrams just by typing mathematical notation in plain text. As robots become more prevalent in our world, we’re challenged with programming them to learn faster and be more adaptable to different tasks and scenarios. Humans already have a high-level mastery of most of the tasks we’d like robots to learn. 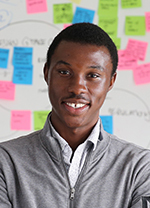 So Iretiayo is researching a way to map the signals from the human brain to useful reward signals through human-in-the-loop robot learning. This involves the development of techniques that use new modalities such as Brain-Computer Interfaces to allow humans to control and teach robots different skills, thus accelerating robot learning of complex tasks. To accomplish this, he is developing interactive robot learning systems that can leverage explicit human guidance through augmented reality platforms or implicit guidance signals through naturally evoked brain signals of a human to train the robot to perform different tasks. Virtually all modern machines, from our laptops to our phones, have multiple cores. It is thus of the utmost importance to be able to design correct and efficient concurrent programs. While there is ample work defining and proving the correctness of concurrent algorithms, surprisingly little is known about their efficiency. Many factors, like the number of processes available, the memory access patterns of the algorithm, and the cache coherency protocols of the machine, can greatly affect the performance of a given algorithm on a given machine. 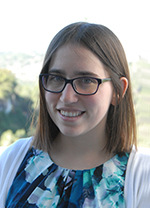 Naama’s research aims to formally and rigorously characterize the costs associated with concurrency and to provide a framework with which researchers can analyze the efficiency of the algorithms they develop. The world’s software is increasingly developed in globally distributed and highly decentralized settings, such as the open source domain. As a result, the main vessel for communication between developers is more often the code itself: its naming, style, and organization. Understanding this form of communication is necessary for tools that aim to intelligently support developers in creating software. Vincent’s research applies models that were originally designed for natural languages to source code to better understand the characteristics of real-world software. His work improves these (typically deep learning) models by integrating insights from software engineering research and programming language design. The resulting models are used to build tools that can assist developers in common, but taxing software engineering tasks like fault detection and API discovery. Insect-scale aerial robots – the size of a penny – are tiny, flying bio-inspired platforms with sensing and computation abilities uniquely suited to a host of applications benefiting from their small scale and maneuverability including disaster relief, agriculture, search and rescue, and even dynamic 3D displays. 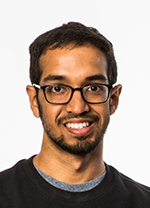 Vikram’s research focuses on addressing the fundamental wireless networking and hardware challenges for these devices including power delivery, communication, and localization. 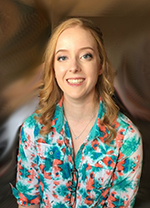 Natalie is a graduate student at the University of Washington studying physics with the Institute of Nuclear Theory under adviser Dr. Martin Savage. She has been inspired by the simulation of fundamental physics and has been intrigued by a new perspective using quantum-based computation—simulating many-body quantum systems with quantum systems. Excited by recent experimental digital quantum simulations of the vacuum properties of electrodynamics as well as the great success of non-perturbative techniques developed by the nuclear and particle physics communities over recent decades for studying the interactions of quarks and gluons, Natalie plans to spend her PhD research in the pursuit of simulating field theories on quantum computers. With this research, in concert with that of Microsoft Research, she hopes to unravel an answer to the basic question: is a quantum computer sufficient to efficiently simulate our natural world? Machine learning algorithms are increasingly being used in socially consequential contexts, and numerous concerns have been raised with regard to the potential adverse impacts on disadvantaged populations. Manish’s research seeks to understand and develop techniques to mitigate such effects. This involves analyzing mechanisms that address particular societal biases as well as identifying fundamental trade-offs that exist between desirable properties of algorithmic systems. Ultimately, the aim of his research is to expose the normative choices necessary in algorithmic decision-making processes and provide insights as to the impacts these choices have. Julia’s research is in applied probability and algorithms. Currently, she is analyzing a model of interacting random walks. Julia initially proposed this model in order to study resource flow in an economic network, but there may be more applications of the model, for example in social science (e.g. modeling group interactions), or even in physics and chemistry. Her goal is to analyze the theoretical aspects of the model so that it can be used in applied settings. There are many theoretical questions to consider when studying the underlying Markov chain, such as phase transition, mixing time, estimation questions, and formulating an appropriate continuum version of the model. In the age of digital computing, we strive to communicate with computers in order to leverage their power to augment our human intelligence and creativity. We explore creative ideas by sketching out designs, manipulating models, and conversing with others. The computing power usually comes last, where the rich and dynamic ideas are downsampled to certain supported representations, by clicking commands from the menus or filling in numbers for the properties. 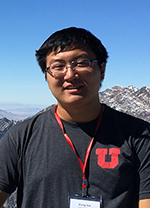 Haijun’s research seeks to empower us to think with computers. He invents new representations of the content, coupled with intuitive interaction techniques, to enable flexible exploration and direct expression of ideas via graphical, gestural, and verbal communication that we are naturally capable of. With the increasing presence of sensors, smartphones, and IoT projects, there has been an explosion in the amount of spatiotemporal data. As the data size grows beyond the storage and processing capacity of a single machine, we’re faced with the fundamental challenges of storing, processing, and analyzing large amounts of spatiotemporal data efficiently. 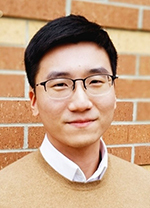 Motivated by such observations, Dong’s research has led to building a distributed spatiotemporal data analytics engine called Simba, which features a simple yet expressive programming interface and high-performance query processing. While developing Simba as a full-fledged system, Dong explores both theory and system aspects by designing novel distributed algorithms for sophisticated spatiotemporal query and exploiting modern system techniques like full-stage code generation. 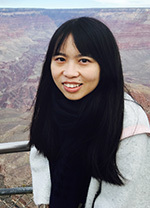 Justine Zhang is a PhD student in Information Science at Cornell University, advised by Professor Cristian Danescu-Niculescu-Mizil. 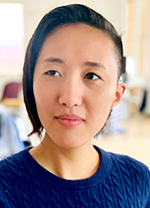 Her research aims to develop models of conversations that explicitly encode the complex interactional dynamics they entail and are applicable to the diversity and scale of large online social systems. She received her Bachelor of Science in Computer Science from Stanford University. 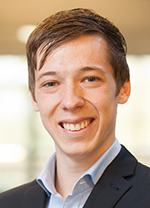 Michael’s research is focused on obtaining faster algorithms for fundamental linear algebra and optimization problems, generally with provable guarantees. Work includes dimensionality reduction—that is, transforming a high-dimensional problem into one of much lower dimension for faster processing. In addition, Michael is working on applying graph Laplacian solvers as a faster way to obtain max flow and minimum-cost flow outputs in graphic applications. The Microsoft Research family is shocked and deeply saddened by the tragic loss of our colleague and friend Michael Cohen. Michael was a brilliant mathematician and a rising star in his field. He spent this past summer with us as a Microsoft Research Fellow, doing what he loved most. Over the summer, he made sweeping progress in online learning and online algorithms, two fields he had just recently become acquainted with. In addition to solving five open problems in these areas, he continued his substantial progress on the k-server problem, one of the most celebrated and notoriously difficult challenges in the space of adaptive algorithms. Michael was a truly exceptional individual. We will remember Michael for his infectious smile and his larger-than-life personality. We will never forget his unrelenting curiosity, his thirst for knowledge, and his deep love for mathematics and theoretical foundations of computing. We are stunned by his loss. We will hold onto our memories of Michael, and know that his ideas and scientific accomplishments will continue on as important advances. We extend our most sincere condolences to Michael’s family and friends. To analyze massive and densely correlated data requires solving for two main challenges: resource constraints and complexity. One set of hurdles deals with the resource and/or application constraints such as real-time requirement, available energy, or memory. The other set of challenges arises due to the complexity of the underlying learning task, which requires more than traditional linear or polynomial analytical approaches to be sufficiently accurate. Bita’s research addresses the challenges associated with big data analytics using a combination of hardware-based and software-based approaches. Her work addresses these two critical aspects of big data scenarios by designing and building solutions and tools that are both data-aware and platform-aware. Despite growing Internet access initiatives, political, economic, and social barriers continue to limit meaningful Internet engagement for individuals in resource-constrained communities. Michaelanne’s research explores how increasing access to the Internet influences lives and how one might use preexisting, local information infrastructures to design more effective services in emerging markets. Her current research is in Cuba, where, up until recently, Internet access was limited to 5 percent of the population. Through fieldwork, observation, and interviews, Michaelanne is developing a holistic understanding of how new Internet infrastructures interact with cultural values and local constraints. Her work explores how future Internet access initiatives in resource-constrained parts of the world might successfully map onto local information infrastructures. Developing revenue maximization models that address uncertainty and specific real-world constraints requires new approaches and algorithms. 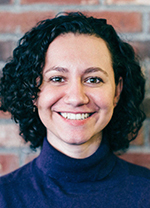 Kira’s research looks to stretch revenue maximization models beyond restricted or known distributions, complex pricing mechanisms, and risk-neutrality, as well as apply them to nonrevenue (social good) outcomes. This research has applications ranging from blockchain-based systems, to kidney exchanges, routing traffic in a network, pricing package deliveries, selling electronics or any commerce application where auctions and pricing uncertainty exist. The major successes in machine learning during the past few decades have been restricted to supervised settings where there is access to vast quantities of labeled data. In unlabeled, unsupervised contexts with significant uncertainty, machine learning has a long way to go. 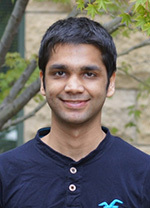 Aditya’s research focuses on designing and analyzing principled, efficient algorithms for probabilistic reasoning in unsupervised settings with unlabeled data, with a special emphasis on deep generative models that can scale to large and high-dimensional datasets, such as those found in energy conservation and weather forecasting applications. Silu’s research is around developing a collaborative data analytics program called DataHub. In essence, she is developing a multiuser system like GitHub, but for structured data. It features compact storage to handle large datasets as well as a rich query language for manipulations on data and versions. Early development goals include designing a compact storage engine with fast retrieval of versions, creating a unified query language for data provenance and versioning, and adapting relational databases to support versioning. This system is being built on top of PostgreSQL with a carefully designed data model and novel partitioning algorithms to efficiently support collaborative data management. The central motivation for Saswat’s research is to help programmers build reliable software with verified guarantees. Although several formal techniques have been developed for program verification, adoption has been low, primarily because two key requirements for these techniques—a formal specification and inductive invariants—still need to be provided manually, which is a cumbersome and error-prone process. Saswat’s research focuses on developing solutions that allow users to interactively generate and refine these requirements and thus help them formally verify their programs. His approach combines 1) data-driven insights from machine learning (on data collected from programs), 2) logical insights from formal reasoning (on program structure), and 3) effective user interaction models. The development community has designed many powerful, dynamic analyses that help programmers understand software, such as backward slicing, dynamic information flow tracking, memory checkers, invariant checkers, and data-race detectors. While these analyses are useful for debugging, developers use them only on extremely challenging bugs due to their high overhead. For example, it can take hours to calculate the backward slice of a complex program. Andrew’s research creates cluster-scale systems that allow developers to quickly understand and debug programs. The work parallelizes dynamic analyses across thousands of cores in a compute cluster, reducing analysis time from hours to seconds. 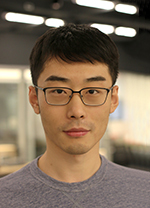 Mengting focuses on building scalable machine learning algorithms to process massive and heterogeneous real-world human activity datasets. 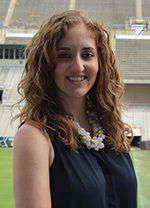 In particular, her research focuses on modeling human opinions and behavior to understand the dynamics of human activities and interactions. Specifically, she is working on two problems: the relationship between macro-knowledge and micro-opinions. Regarding the relationship between what someone knows in the general to how that informs their opinions or behaviors, she aims to effectively organize and summarize both factual knowledge and subjective opinions. 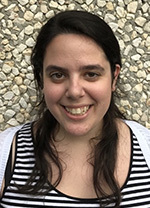 Regarding the inverse, how micro-opinions relate to macro-knowledge, her work aims to interpret and predict behavior, studying the connection between efficient recommendation engines and established behavioral theories in social sciences. Mengting’s work has application in opinion-oriented question answering, recommendation systems, and e-commerce.